GameStylus comes with another three series of classic adventure games. The main characters will be Alice - a young witch, David – a space treasure hunter and Robert on the island of 16 sisters. We bet on the classic adventure games in which players collect and skillfully use various objects and solve logical tasks to experience the whole story firsthand. 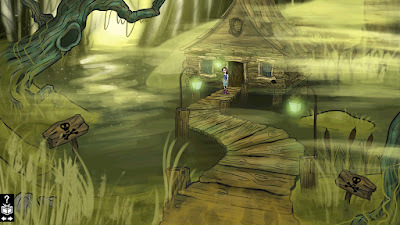 Currently there is a two-part game series about the witch Alice coming out, that offers hand-drawn animated graphics. In the first part, which is free and without any purchases or ads, Alice finds herself in a reformatory school for witches. Who wanted her to be there and why? How can she escape? What will happen when she does? This is just a few of the questions which have to be answered. Simultaneously the second episode titled Alice and The Magical Dragons is coming out, which directly follows the first part of the story. Alice will find herself in the magical world and will finally be able to use her extraordinary abilities. As long as she doesn’t get caught – since many magicians don’t like the girls from the reformatory school. At the turn of the year 2016/2017 we are planning to publish the fourth series of our adventure games, in which Robert will suddenly find himself on an island with 16 young and beautiful sisters. But something's wrong there... What is it? All the games run on our GameStylus engine, which is continually enhanced. Even the series of Mutants vs. Chosen has recently got an improved user interface, the SuperHelp, which allows players to find immediate help when they get lost. All our games are multilingual, in Czech, English and other languages. And do not forget that on GameStylus.com you can create your own games too!